Hello! It's been awhile since my post, so I wanted to catch you up on new products and sales in my store (including the $1 Bake Sale and a 65% off retiring products sale). 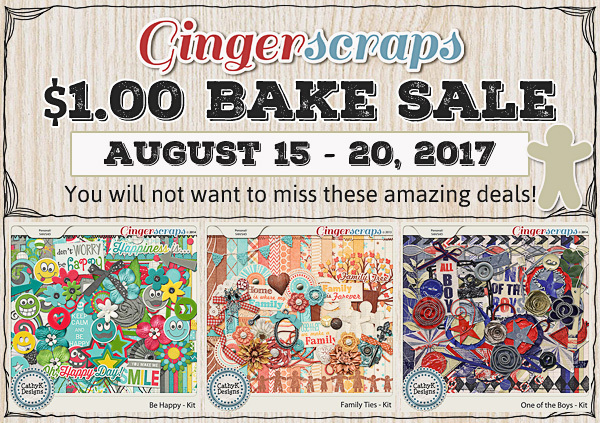 Get these 3 kits for just $1 each August 15-20 as part of the GingerScraps August Bake Sale. It's time to say goodbye to some older products to make room for new ones! 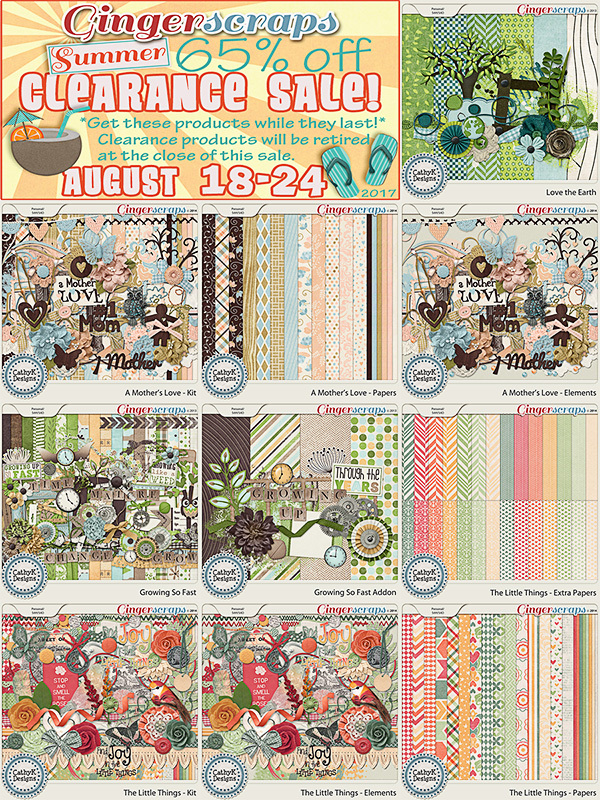 My retiring products are 65% off through August 24, after which they will be removed from my store. Check out my retiring products here. The August Buffet sale is now over, but you can still get the Summer Delight - Bundle for $4 through the rest of August. 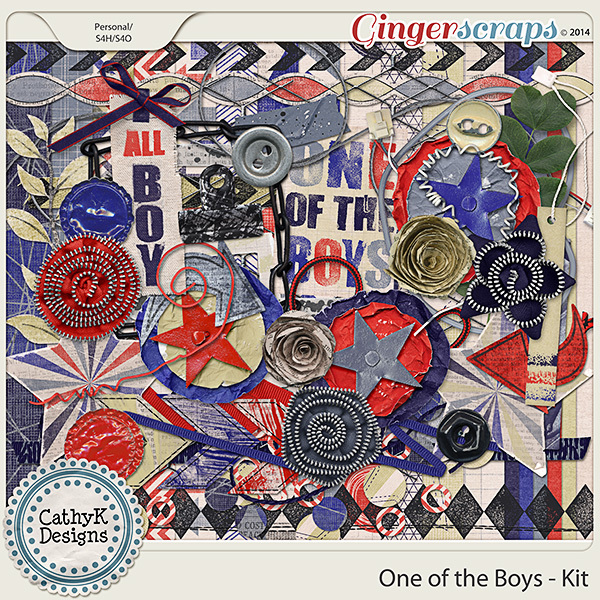 The bundle includes Papers, Elements, Ombre Papers, and Extra Papers. The individual packs are each 40% off through August 31 as well. 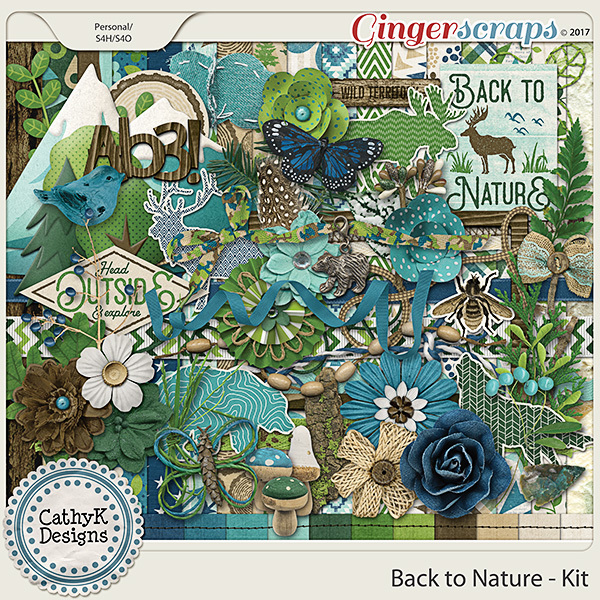 Back to Nature - Kit (last month's Daily Download) is now available in my store and is 40% off throughout August. 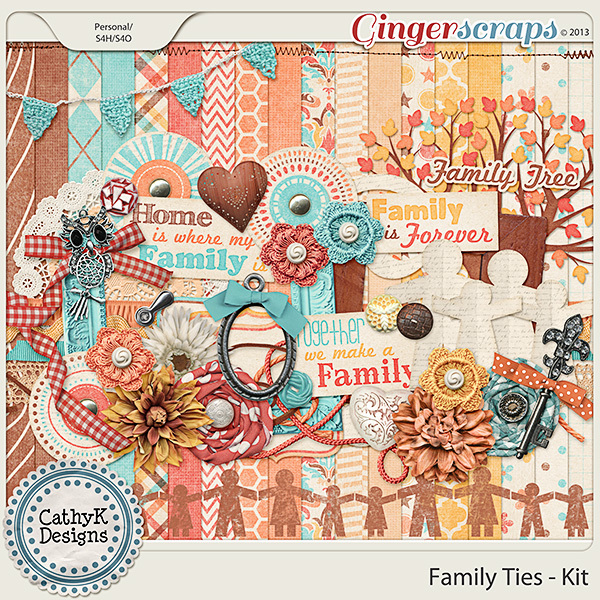 Be sure to check out the Daily Download Challengethis month and scrap a layout with Back to Nature. 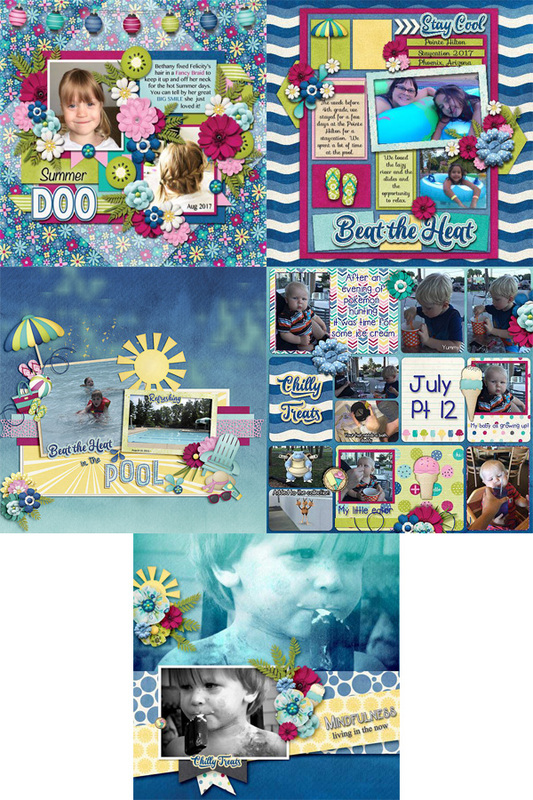 There are so many amazing layouts posted there already! And just look at all the gorgeous layouts!